The new Vivo V7 is powered by a Qualcomm Snapdragon 450 processor and features a 24 MP camera for selfies, being similar to the Vivo V7+. However, the V7 comes with 32 GB internal storage, while its more expensive sibling features 64 GB of storage space. Back in September, Vivo launched the selfie-centric Vivo V7+ in India. That handset has a massive 6-inch display, 64 GB internal storage, and a 24 MP main camera. The new Vivo V7 keeps the camera but has a slightly smaller display, half the storage space, and a smaller price tag as well. 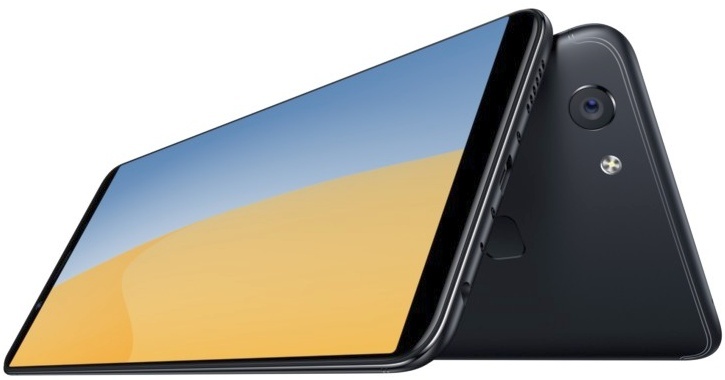 The Vivo V7 makes its debut in China packing the same Qualcomm Snapdragon 450 processor as the larger Vivo V7+ that we mentioned above, a 5.7-inch IPS touchscreen with 1,440 x 720 pixels, 4 GB RAM, and 32 GB of internal storage and microSD support. The main camera has an f/2.0 aperture and a 16 MP sensor, while the front image snapper has the same aperture, but a 24 MP sensor. Next to the above, we should also mention Vivo's Face ID competitor, known as VivoFace Access and also present on the V7+. Obviously, the Vivo V7 cannot be compared with the iPhone X overall, but it should be unsettling for Apple to see that Chinese underdogs come up with such a feature in a mid-ranger. Just as expected, the Vivo V7 runs Android 7.1 Nougat with Funtouch 3.2 on top, this being exactly the software solution used by the Vivo V7+. There are also a 3,000 mAh battery and a fingerprint reader on the back that should be taken into consideration when choosing to pick this handset or go for something else. The Vivo V7 is going to hit Indonesia in black and gold finish. The price of this handset is around US$300, so about US$50 less than the Vivo V7+. Other countries will follow in the future, but there is no detailed information about it yet.